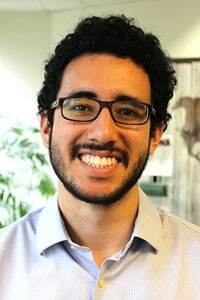 Abraham Rugo, Ph.D., is the International Budget Partnership’s Country Manager for Kenya and is based in Nairobi. Prior to joining IBP in July 2017 he worked at Institute of Economic Affairs (2007-2013) and as a public sector consultant (2014-2016). He has a wealth of experience working in decentralization, participatory governance, and public finance management in Kenya. He holds Masters and Doctoral Degrees in Public Management from the University of Potsdam, Germany. He has a passion for home grown solutions to society problems and works to localize and personalize policy matters that are otherwise complicated. 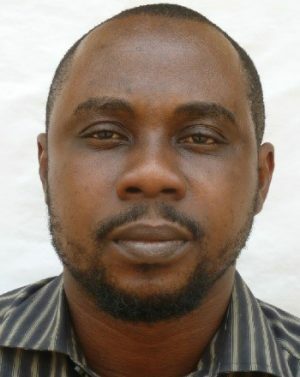 Prior to joining the International Budget Partnership in 2018 as Country Manager for Ghana, Karim was the Program Manager for Active Citizenship & Accountable Governance with Oxfam in Ghana where he led Oxfam’s efforts to increase revenue transparency and state accountability through citizen’s influence over public finances, particularly those derived from extractive industries and foreign assistance. Karim also led advocacy initiatives for political reforms and citizen-driven social accountability aimed at consolidating Ghana’s democratic experiment. His experience includes capacity building of local partners in setting advocacy agendas, policy targets, and budget tracking, as well as advocacy on global platforms for implementation of global norms in countries and across regions. Karim recently supported the formation of a civil society platform to engage the International Monetary Fund on a bailout program for the government of Ghana that secured unusually significant social safety nets, leading to the passage of a longtime pending petroleum exploration and production bill, a new public finance management law, and other important fiscal regulations. Prior to that, Karim worked with the Canada-based Parliamentary Centre as a Governance Advisor on Extractives and Environment and as a Program Officer. In these roles, he supported parliamentary review and the passage of Ghana’s Petroleum Revenue Management Act – widely touted as model policy in the region. He also supported the rejection of a flawed Exploration and Production Bill, and the establishment of an independent regulatory body, the Petroleum Commission of Ghana. Karim also worked with the Danish International Development Agency, where he supported Ghana’s Judicial Service, the public service institution responsible for the administration of the courts and tribunals. Karim holds a Master of Science degree in Development Policy and Planning from the Kwame Nkrumah University of Science and Technology in Kumasi, Ghana and a Certificate in Petroleum Policy and Resource Management from PETRAD in Norway. 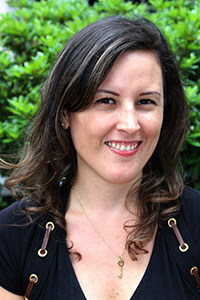 Adalei joined the International Budget Partnership in Washington D.C. in 2018 to lead the monitoring, evaluation and learning (MEL) of IBP’s multi-country SPARK program. Adalei has worked across multiple sub-sectors of international development and in numerous capacities including fundraising, program development, and monitoring and evaluation. She spent several years as a direct program implementer with postings in Haiti, the Democratic Republic of Congo, Indonesia, and South Sudan. Most recently she was the Design, Monitoring, and Evaluation (M&E) Specialist with Freedom House in Washington D.C., supporting all international governance, democracy, and human rights programming in more than two dozen countries, and led knowledge management for the USAID funded Human Rights Support Mechanism. As an M&E professional she has led numerous needs assessments, baseline studies and evaluations, in addition to establishing global and country-level M&E systems, and building the M&E technical capacities of program staff and partners. Adalei received a BA in Political Science from City College in New York and a Master’s in International Affairs from the Graduate Institute in Geneva. She also participated in academic exchanges to study French at the Sorbonne in Paris and Gender and Development Studies at Jawaharlal Nehru University in New Delhi. 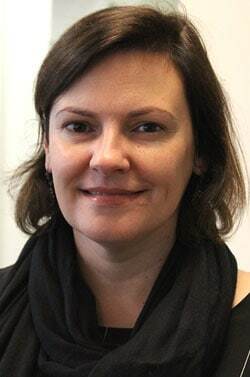 Aideen Gilmore joined IBP in February 2016 and is based in Washington, D.C. As Senior Program Officer, Aideen contributes to the Training, Technical Assistance & Networking team’s efforts to build CSO capacity to perform analysis of and advocacy on public finance and fiscal justice issues. Prior to joining IBP, Aideen was an independent consultant conducting research, policy analysis, evaluation and strategic support on issues of human rights, equality and justice for a range of international and national civil society organizations. 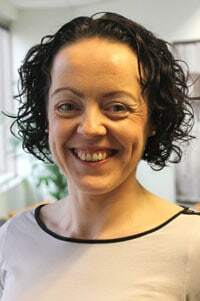 Aideen was previously Deputy Director of the Committee on the Administration of Justice (CAJ) – a leading human rights nongovernmental organization in Northern Ireland – where she was responsible for leading and developing the organization’s policy and advocacy strategy. Aideen also previously worked in the Human Rights Unit of the Department of Foreign Affairs in Dublin. She graduated with a BA (Hons) in Government and Law in 1996 and an MA in Administrative and Legal Studies in 1997, both from the University of Ulster. 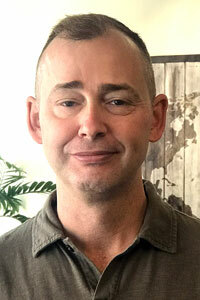 Albert van Zyl is the International Budget Partnership’s (IBP) South Africa Country Manager. van Zyl joined IBP in 2005 from South Africa where he established and managed the macroeconomic analysis and budget offices in the Western Cape Treasury. Before that he worked at the Budget Information Service (BIS) at the Institute for Democracy in South Africa (Idasa) and directed it from 2000-2002. Most recently he worked as IBP’s Director of Strategy and Learning. 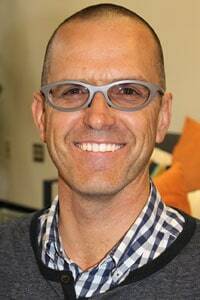 Van Zyl holds MA degrees in Politics, Philosophy, and Economy from the Universities of Stellenbosch and Bordeaux, France. He has been published on a range of public finance issues including CSO oversight of budgets, fiscal policy, social service finance, budget transparency, and subnational finance. Alex Kreko joined the International Budget Partnership in January 2019, and is based in Washington, D.C. As a Program Officer with the Open Budget Initiative, he works on the coordination and implementation of the Open Budget Survey and related initiatives. Before joining IBP, he worked at the Department of Justice and an immigrant aid nonprofit in Washington, as well as an international research firm in Charlottesville, Virginia. He holds an MA in Law and Diplomacy from the Fletcher School at Tufts University. Alexandre Ciconello joined IBP in February 2016 and is based in Rio de Janeiro, Brazil. As Senior Program Officer, Alexandre contributes to the Training, Technical Assistance & Networking team’s efforts to strengthen civil society organizations’ (CSOs) capacities to perform analysis of and advocacy on public budgets so they can hold governments accountable and to advance social justice. 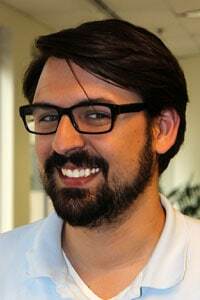 Prior to joining IBP, Alexandre was a researcher at Amnesty International and Instituto de Estudos Socioeconomicos (Institute for Social and Economic Studies, or INESC) in Brazil. In these roles, he worked closely with CSOs to implement national and international projects related to fiscal justice, public participation, and human rights in Brazil, Central America, the Netherlands, Angola, and Mozambique. From 2003-2006 he coordinated the Brasilia office of the Brazilian Association of NGOs. Since 2001, he has also served as a consultant on public policy issues to federal ministers, sub-national governments in Brazil, CSOs, and international organization such as Oxfam. He was part of the Humphrey Fellowship Program at Washington College of Law with a focus in human rights and holds a graduate degree in law from the University of Sao Paulo and a master’s degree in political science from University of Brasilia. 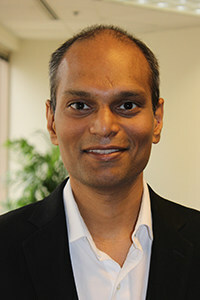 Anand joined the International Budget Partnership as Director of Communications in April, 2018. Prior to joining IBP, he led the communications team at the World Resources Institute Ross Center for Sustainable Cities. He also worked at World Wildlife Fund and The Nature Conservancy, leading communications for those organizations’ conservation work in Africa, the Amazon, Indonesia, and the Mid Atlantic region of the United States. Anand holds an A.B. in history from the University of Michigan. Anjali Garg joined the International Budget Partnership’s Open Budget Initiative in November 2013 and is based in Washington, D.C. As Open Budget Survey Supervisor she is responsible for conducting qualitative and quantitative social science research, providing technical assistance to partners and in-country peer reviewers, as well as conducting country assessments and working with IBP partners to develop and implement advocacy strategies to promote budget transparency reforms. 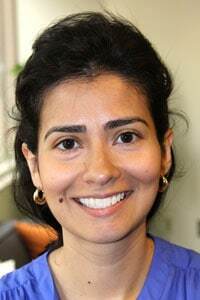 Prior to joining IBP, Anjali was an Economist at the U.S. Department of the Treasury’s Office of International Affairs, where her work focused on Israel, Libya, Tunisia, and Palestine. Anjali also previously worked at the International Monetary Fund in the Middle East and Central Asia Department, and before graduate school, worked in the area of corporate finance with a focus on restructurings. 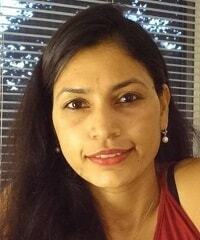 Anjali holds a Masters from Columbia University’s School of International and Public Affairs. 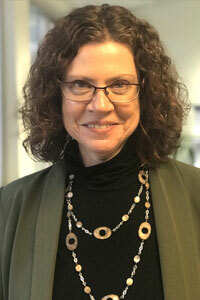 Ann Blyberg joined the International Budget Partnership (IBP) in July 2015 and is based in the Washington, DC office where she is responsible for overseeing IBP’s training, technical assistance, networking, and capacity building initiatives. Ann has extensive experience in providing training and technical assistance to CSOs as well as governmental and intergovernmental agencies, principally on human rights and government budgets. Prior to joining IBP Ann directed the International Human Rights Internship Program (IHRIP), which supported professional exchanges between human rights groups in different countries that were aimed at strengthening the organizations’ work. Ann has an undergraduate degree in mathematics and a J.D. from the University of California, Berkeley. Ariel joined IBP in 2018 as the Strengthening Public Accountability for Results and Knowledge (SPARK) Program Officer. She helps manage the SPARK grants program and supports the program’s activities on the ground in multiple countries. She is based in Washington, D.C. Prior to joining IBP, Ariel was the Program and Operations Officer at the Partnership for Transparency Fund (PTF) where she managed joint proposal development with civil society to apply to international funding institutions. These partnerships facilitated anti-corruption and good governance work in local communities in Central and South Asia, East Africa, and Eastern Europe. Before PTF, Ariel was the Program Coordinator for the German Marshall Fund’s MENA Partnership for Democracy & Development in Tunis, Tunisia. Throughout her time at the German Marshall Fund, Ariel opened the Tunis regional office and provided on-the-ground support for all Middle East and North Africa program activities. Ariel holds a B.A. from the College of William and Mary with a major in Government and a minor in Arabic and is pursuing a Geographic Information Systems certificate from George Washington University. Atiku joined the International Budget Partnership as the Senior Project Officer for SPARK in Nigeria. Prior to joining IBP, Atiku was with BudgIT Foundation where he was Head of Research and Lead Policy Analyst. In this role, he coordinated and directed policy work on cost of governance, poverty, housing deficit, budget credibility, inequality, fiscal and monetary policy interaction, and public finance management reforms. Atiku is the author of numerous publications and technical memos on budgeting in Nigeria. His work cuts across different sub-sectors of the Nigerian economy including health, housing, nutrition, family planning, education, and agriculture. Atiku has also led advocacy initiatives aimed at driving legislative transparency, sub-national transparency, citizen-led social accountability, and fiscal policy reforms. He is part of civil society forums leading discussions and engagement sessions with governments on a series of reform initiatives. His experience includes capacity building of local civil society, journalists, media professionals, and community-based organizations with the overall aim of setting advocacy agendas, driving policy changes, and calling attention to issues of transparency, accountability, and participation in governance. Atiku holds an MRes in Public Administration from the University of Portsmouth, where his studies focused on budgetary changes in developing economies. He is an Alumni of the Harvard Kennedy School and also holds a B.Sc in Actuarial Science from the University of Lagos, Nigeria. Austin joined the International Budget Partnership in June 2018 as the Country Manager for Nigeria. Prior to joining IBP, Austin worked with DFID’s flagship governance reform and public sector accountability program in Nigeria (Partnership to Engage, Reform, and Learn, or PERL), where he served as Federal Reform Manager. Austin managed the team that facilitated improvements in the linkages between policy-making, strategic planning, budgeting, and service delivery, and contributed to strengthening inter-governmental coordination between the federal and state governments. Previously, he was the Component Manager for Public Finance Management in DFID’s Federal Public Administration Reform Program (FEPAR), where he supported reforms initiated by Office of the Vice President. Austin was involved in the successful transition from the predecessor SPARC/SAVI/FEPAR suite of DFID programs to the PERL suite. Austin’s roots are in civil society, working with the Justice Development and Peace Commission (JDPC) in Lagos state, where he managed a small core team and over 3,000 volunteers. He was instrumental to the emergence of civil society networks and coalitions on accountable governance at the state and local government levels. He founded and edited the Budget-Track Newsletter between 2006 and 2008. Austin is finalizing an MA in Public Policy and Management at the University of York, United Kingdom, having already obtained a Postgraduate Diploma from the same institution. He also holds a Postgraduate Diploma from Abubakar Tafawa Balewa University, as well as a B.Sc. from University of Jos – all in Nigeria. He is also a certified Public Expenditure and Financial Accountability (PEFA) assessor. Brendan Halloran is the Senior Fellow in the International Budget Partnership’s Strategy and Learning team. In this role, Brendan supports strategy and learning processes at IBP – both the internal production of learning insights and drawing on evidence and ideas from broader research and practice in the governance space. He’s particularly interested in complex change dynamics, and how to support organizations to both navigate and strengthen their accountability ecosystems. Prior to joining IBP in 2016, Brendan lead the learning work of the Transparency and Accountability Initiative, where he played a role in shaping and interpreting evidence about what works, as well as supporting collective learning spaces, such as the TALEARN network. Before that, Brendan spent five years living, researching and working in Guatemala, most recently as a Governance Advisor for USAID. Brendan has a Ph.D. from Virginia Tech, and has published work in a variety of journals, think pieces, and blogs, including his own — Politics, Governance, and Development. Caitlyn joined the International Budget Partnership as a Development Associate in 2018. 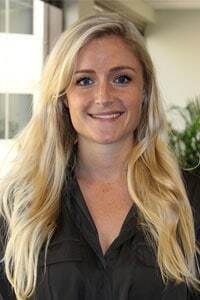 She is based in Washington, D.C.
Carlene van der Westhuizen joined the International Budget Partnership in May 2016 after working as a consultant for IBP since October 2014. Based in the Cape Town office, she works as a Research Analyst for IBP’s Catalyst Program in South Africa. From 2005 to 2013 she worked as a Senior Researcher at the Development Policy Research Unit, based at the University of Cape Town. She also previously worked as a Researcher at IDASA’s Budget Information Service and the Western Cape Trade and Investment Promotion Agency (Wesgro). She holds an MA in Economics from the University of Stellenbosch. 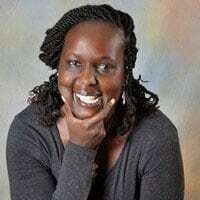 Carol Kiangura joined the International Budget Partnership in August 2018 and is based in Washington, D.C. As Senior Program Officer, Carol contributes to the Training, Technical Assistance & Networking (TTAN) team’s efforts to strengthen civil society capacities to perform analysis of and advocacy on public financial and fiscal justice issues, so they can hold governments accountable and advance social justice. Prior to joining IBP, Carol worked with Oxfam International as its Confederation Development Adviser for Africa. Before that, Carol was a fiscal governance crusader, working with Publish What You Pay’s International Secretariat and supporting coalitions in the East and Southern Africa regions, to call for an open and accountable extractives sector, so that oil, gas, and mining revenues improve the lives of women, men, and youth in resource rich countries. Carol holds an MSc in Organisational Development from the United States International University – Africa. Catherine Casey joined the International Budget Partnership in November, 2017. She is based in New York City. Catherine has over 25 years of fundraising experience in the not for profit sector in the United States and internationally. 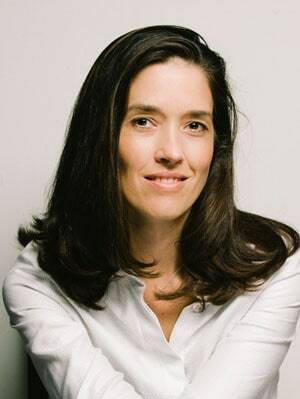 Prior to joining IBP, Catherine was the Chief Development Officer at the Institute for War and Peace Reporting. Prior to that, she was the Head of Global Major Donor Fundraising at Amnesty International, and Director of Major Gifts at Planned Parenthood. 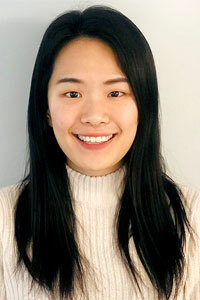 Chloe Cho joined the International Budget Partnership in August 2018 as a Research Analyst. Previously, she worked with the Center on Budget and Policy Priorities in Washington, D.C. and with IBP’s partner organization in Sri Lanka. Chloe holds a bachelor’s degree in Economics and Political Science from Trinity College, CT.
Claire joined the International Budget Partnership in 2014 and specializes in integrity, transparency, accountability, and participation in public resource management. She has worked with civil society, governments, business, and donors on organizational development, action learning, monitoring and evaluation, and policy guidance. Claire has more than 12 years of experience in governance and development in Africa, the Caribbean, Central and Southeast Asia, and the Middle East. Prior to joining non-governmental organizations, Claire worked with the United Nations Mission in the Democratic Republic of Congo, the United Nations Volunteers External Relations Group in Bonn and Representation Office in New York, and the Ministry of National Defence in Canada. She has a Masters degree in Development Management from the London School of Economics and Political Science and a Bachelor of Arts in Industrial Relations from McGill University in Montreal, Canada. Claire has published research on social accountability in situations of conflict and fragility, drivers of change, and budget accountability in the Democratic Republic of Congo, and ICT for Open Contracting. Claire is fluent in English and French. As Chief Financial Officer, Claudio manages all aspects of the International Budget Partnership’s accounting and finance practices. He oversees the finance, treasury, budget, financial policies, financial reporting and global audit functions to ensure the organization achieves its programmatic and financial objectives. Claudio joined IBP in 2012 as the International Finance Manager at a time when the organization was a project within the Center on Budget and Policy Priorities. In 2015, he took on the role of Chief Financial Officer as IBP became an independent organization. Claudio also serves as a member of International Budget Partnership Kenya’s board of directors. Claudio has experience in international and domestic financial management and oversight with both for-profit and not-for-profit organizations across a variety of industries and missions. Claudio began his career in public accounting, primarily working with US government contractors. He later moved to the not-for-profit industry, working at PSI where he was responsible for financial reporting and consolidation of financial records from over 60 field offices worldwide. 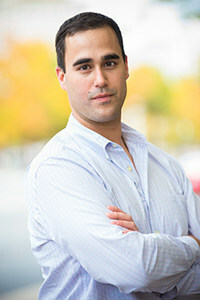 Claudio earned his Bachelor of Science degree in Accounting from George Mason University. In addition, he is a Certified Public Accountant licensed in the District of Columbia and a Chartered Global Management Accountant as designated by the American Institute of Certified Public Accountants. 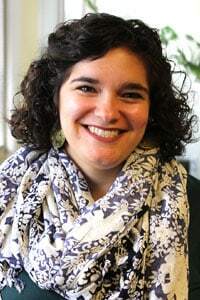 Cosette joined the International Budget Partnership as a Research Assistant for the Open Budget Initiative in 2019. David joined IBP in December of 2017 as the Human Resources Generalist. He has over 20 years of Human Resources experience in HR process and policy development, compliance, compensation, employee relations, performance management and benefits. At IBP he is responsible for providing high touch, day-to-day HR support to the employees of IBP, with the goal of creating a supportive environment for all. This includes responsibility for the overall administration, coordination and evaluation of the HR function. David’s experience has included generalist and specialist positions, working for both profit and non-profit organizations. Prior to joining IBP David held positions at the George Washington School of Medicine and Health Sciences, the American Red Cross, the BlueCross BlueShield Association, and Arthur Andersen. David has a BA in Classical Studies with a minor in Business Administration from the College of William and Mary. He is certified as a Professional in Human Resources (PHR) and a Society of Human Resources Certified Professional (SHRM-CP). David Robins joined the International Budget Partnership in August 2013, and is based in Washington, D.C. As a Program Associate for the Open Budget Initiative, he is responsible for data collection and analysis for the Open Budget Survey, as well as providing technical assistance and support to IBP partners, in-country peer reviewers, and government officials throughout the Survey process. Prior to joining IBP, he worked for community organizations in New Orleans, and held internships in the US and UK governments. David holds an MSc in International Politics from SOAS, University of London, where his studies focused on the role of non-state actors in governance and democratization. Debby joined the International Budget Partnership in November 2018 as Senior Communications Officer to lead on writing/editing and to collaborate with all staff on building awareness of and support for their work. She has worked as a consultant, writer, technical editor, economist, regional planner, teacher, and in administration and finance roles with a wide-ranging group of organizations including IBP, the Open Government Partnership, the Financial Transparency Coalition, IFPRI, the Delta Cost Project, the World Bank, UNDP, the Smithsonian and others. She has a bachelor’s degree in economics from Harvard University and a master’s in public affairs from the Woodrow Wilson School of Public Policy at Princeton. 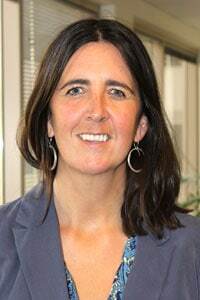 Delaine McCullough became Head of Climate Finance Accountability at the International Budget Partnership (IBP) in May 2018, leading a new area of work that aims to help strengthen the capacity of civil society organizations and other accountability actors in countries around the world to ensure their governments manage public funds intended to address the causes and impacts of global climate change with full transparency and accountability in order to create equitable, sustainable, and resilient societies. Delaine first joined IBP in June 2008 as communications manager, overseeing all aspects of the organization’s communications. 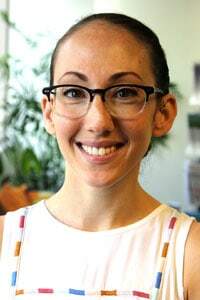 Her previous experience includes analyzing public finance issues as a senior policy analyst at the California Budget Project, directing marketing and communications for various international and domestic U.S. organizations, and managing programs for several environmental and economic justice organizations. 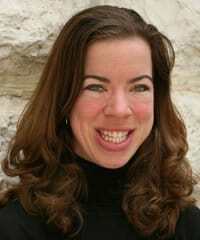 She holds a MA of Public Affairs from Indiana University’s School of Public and Environmental Affairs. 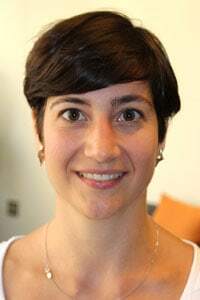 Elena Mondo joined the International Budget Partnership (IBP) in August 2007 as Project Coordinator for the Open Budget Initiative, a research and advocacy project to promote public access to budget information and accountable budget-making processes and institutions. 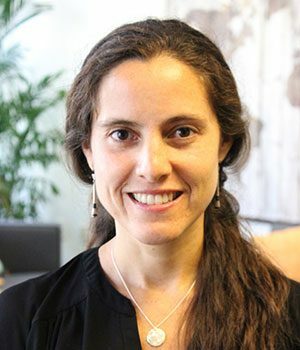 Prior to joining IBP, she worked as a consultant for the Organization for Economic Cooperation and Development (OECD), coordinating research on budget practices and procedures in the OECD and Latin American countries. This work led to the creation of a comprehensive database for best practices in financial management. Mondo holds a BA in international economics and management from Bocconi University, and an MPA in public and economic policy from the London School of Economics. Gloria joined the International Budget Partnership’s Finance and Operations team in November 2017. She is based in Washington, D.C. Prior to joining IBP, Gloria worked at the Michael J. Fox Foundation for Parkinson’s Research where she most recently held the Associate Director, Finance role. Gloria has extensive experience preparing and reviewing financial statements, oversight of revenue recognition and closing procedures, and payroll management. Guillermo Herrera joined the International Budget Partnership in 2018 to facilitate the organization’s Assessing Budget Credibility Project. Previously, he worked at the Center on Budget and Policy Priorities, where he analyzed the effects of budget and tax policies on low-income communities, and the Council of the Americas, where he organized forums among diverse stakeholders to foster development in Latin America. Guillermo has a B.A. in International Studies from Johns Hopkins University. 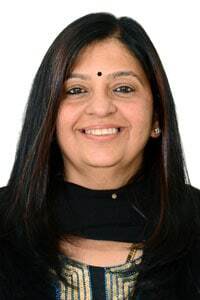 Dr. Indira Khurana joined the International Budget Partnership in 2018 as the Country Manager for India. Indira brings over 20 years of experience in the development sector with a focus on water, sanitation, agriculture, and indigenous domesticated biodiversity. Prior to joining IPB, Indira worked with the Centre for Science and Environment, Aga Khan Foundation, Water and Sanitation Management Organization, and WaterAid where she worked with civil society groups on key budget advocacies around water and other basic social services. Most recently she worked with Safai Karmachari Aandolan (SKA, Movement of Sanitation Workers), India’s national movement committed to the total eradication of manual scavenging and the rehabilitation of scavengers for dignified occupation. Indira holds a Ph.D. in Biotechnology. She also serves as the Vice Chairperson of Tarun Bharat Sangh, is on the Advisory Board of Balipara Foundation, and is a board member of Coastal Salinity Prevention Centre. She has co-edited and authored several books on water and sanitation, including Making Water Everybody’s Business, Reflections on Managing Water, Towards the Right to Water and Sanitation, The Burden of Inheritance, and Water Quality in Rural Areas: Community-based Approaches. 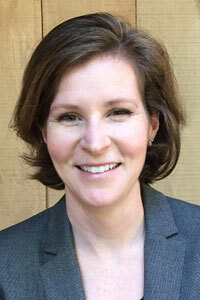 Jennifer Grant is the International Budget Partnership’s Director of Partnerships Development. Jennifer has more than 15 years’ experience leading large-scale multi-year international programs and advocacy on Governance and Human Rights. Previously she was a Deputy Director at Save the Children International where she led the strategic development of programs and policy in Child Rights Governance for Save the Children across 60 countries worldwide. She authored the first programming guidance, analysis tool, and program strategy tool for child rights governance as well as spearheading thinking on public investment in children, adaptive programming, civic space, and children’s civil and political rights. 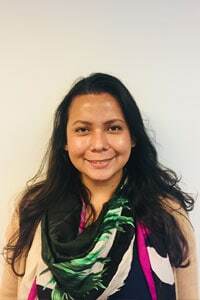 Ms. Grant was a Senior Human Rights Adviser for the Foreign and Commonwealth Office (FCO) in Aceh Indonesia, Human Rights Adviser to NGOs in Guatemala, senior adviser to Save the Children UK, and Lecturer in International Law at Sussex University. Jennifer holds two undergraduate degrees in Social Anthropology with International Development (MA) and Law (LLB) and postgraduate masters in International Law (LLM). She was recipient of the Sasakawa fellowship, for future leaders in international affairs, at Sussex University in 2001. 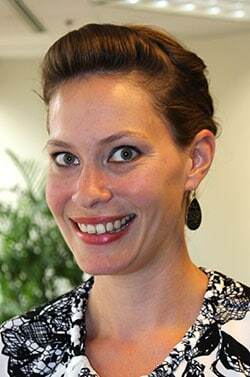 Jessica Taylor joined the International Budget Partnership in March of 2014 as a Program Officer for IBP’s Catalyst Program in South Africa. In her current role as South Africa Deputy Country Manager, Jessica is responsible for IBP’s working relationships with some core country partners. She provides a range of support to South African CSO partners, including technical assistance and training. She also works to develop relationships with government officials and other relevant stakeholders in support of IBP partner campaigns. Jessica studied at the University of Cape Town where she majored in Law, Sociology and Political Science. She later completed her masters in Political Science at the University of the Free State. Jodi joined the International Budget Partnership in March 2019. Previously, she was the Senior Manager of Foundation Relations at the Center for American Progress, and prior to that was the Foundation Relations Manager at Plan International USA. 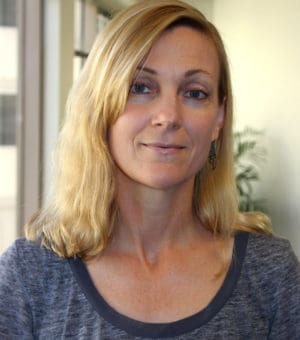 Jodi received her Bachelor of Arts degree from the University of California at Los Angeles, with a double major in International Development Studies and Spanish, and holds a Master’s degree in International Development Studies from The George Washington University. 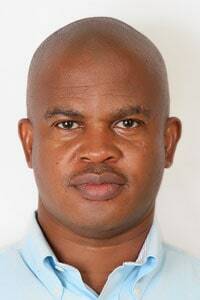 John Kinuthia joined the International Budget Partnership in October 2013 and is based in Nairobi, Kenya. 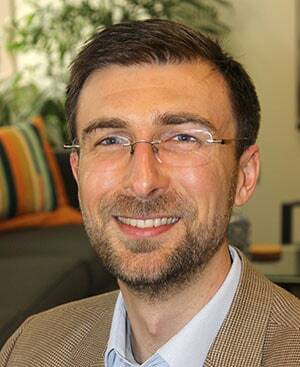 John leads the research work on Kenya budgets and resource distribution at the national and sub-national level. He also supports IBP Kenya’s partners at both levels of government and by extension he is involved in IBP Kenya’s technical assistance to state and non-state actors. 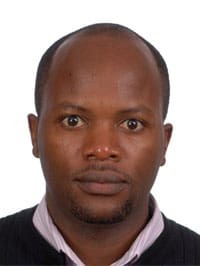 Prior to joining IBP Kenya John worked at Twaweza East Africa as an Associate Analyst in the Uwazi (Transparency) arm of the organization conducting research and analysis to support openness on social-economic issues in Kenya. John holds a bachelor of science degree in physics from Jomo Kenyatta University of Agriculture and Technology (JKUAT) and an MBA in strategic management from the Kenya Methodist University. 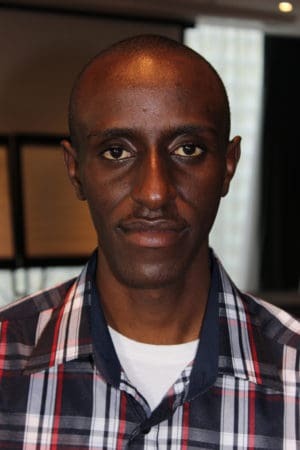 Kenny Oleru joined the International Budget Partnership as a SPARK Program Officer in March 2019. He is based in Nigeria. 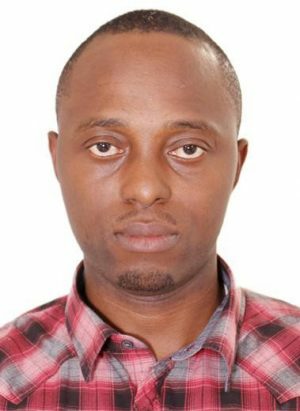 Prior to joining IBP, Kenny worked for Christian Aid Nigeria and ActionAid Nigeria as a Governance Program Officer and Campaigns Coordinator. 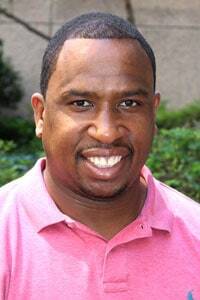 Kenny also has experience of working with civil society groups and mobilizing grassroots communities to influence change processes and vast knowledge of partnership management, social accountability, campaigns, and advocacy planning. Kenny has a keen interest in humanitarian, health, gender, governance, and social change communication and advocacy. 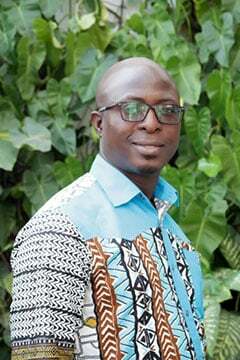 He is passionate about rural development and using a rights-based approach to facilitate increased citizen voices in decision-making. He holds a Master’s degree in Development Studies from Federal University Dutse, Nigeria and a B.Tech degree in Biotechnology from Federal University of Technology Owerri. He is constantly looking for new and improved ways to influence service delivery for the benefit of majority poor masses and to drive sustainable development through progressive social change. Marianne joined the International Budget Partnership in September, 2015. In her role as Program Officer for Content Development and Digital Strategy, Marianne manages IBP’s digital communications platforms, including the organization’s website and newsletter. She has an extensive background in digital content management and development, digital analytics, user experience optimization, and more. Prior to joining IBP, Marianne worked as the digital marketing lead for a private sector analytics and consulting firm in Ann Arbor, Michigan. She also worked in destination marketing and radio. A proud Wisconsin native, Marianne is a 2005 graduate of Marquette University where she earned a BA in Broadcasting and Electronic Communication. She also plays roller derby. 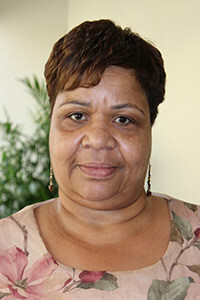 Marilyn Butler joined the International Budget Partnership (IBP) in January 2009 as an Administrative Assistant. Prior to joining the IBP, Butler was Sustainable Development Coordinator at the United Nations Foundation for eight years where she was responsible for grant and data management for contracts and grants, and donor stewardship. As a Research Analyst and Trainer based in IBP’s Kenya office, Mokeira undertakes research on public finance issues relevant to the Kenyan budget process and internationally. Mokeira also trains and provides technical assistance to CSOs and other stakeholders on public finance management and advocacy. Prior to joining IBP as a staff member, Mokeira worked as a consultant for the organization, conducting research on adequacy of public justifications in budget documents in Kenya county governments. She is an advocate of the High Court of Kenya. She graduated with an LL.B and LL.M (public finance) from the University of Nairobi. Nantika Ghafur joined the International Budget Partnership’s (IBP) Partnership Initiative (PI) in April 2011 and is based in Washington, D.C. She is currently responsible for liaising with the catalyst staff, consultants, vendors, grantees, and partners to provide general administration and logistical support. Ghafur has more than 10 years of administrative and finance experience. Prior to joining IBP, she worked with the Association of International Agricultural Research Centers and the Pan American Health Organization. She is currently pursuing a degree in Business Administration at Northern Virginia Community College. Nusrat Ahmad joined IBP in April of 2011 as an Administrative Assistant. In her current role as Senior Operations officer, Nusrat is responsible for functions related to operations IBP-wide. This includes: human resources, finance, information technology, administration, facilities, and contracts. She excels at using proven methods and cutting-edge technology to successfully stream line operations, increase productivity, and deliver the organization’s mission. Assertive and enthusiastic, with extensive knowledge of process optimization and a firm worth ethic. Prior to joining IBP, she held positions at several corporate and non-profit organizations. She holds a B.A. in Interior Architecture from SAIC – School of the Art Institute of Chicago. Pam Bailey joined the International Budget Partnership in January 2019 as Senior Communications Program Officer in the Training, Technical Assistance & Networking (TTAN) group. 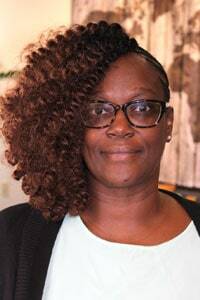 She came to IBP from NeighborWorks America, where she led a thought-leadership/storytelling initiative for this Congressionally mandated network of 240+ community development organizations working in distressed neighborhoods. 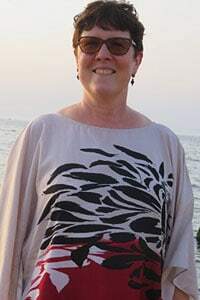 Prior to her NeighborWorks tenure, Pam left a global communications position with Johnson & Johnson to teach citizen journalism to young-adult refugees in the Gaza Strip. In her “off” time she continues to run the NGO for budding writers she founded in Gaza, WeAreNotNumbers.org. 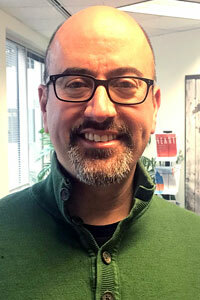 Paolo De Renzio joined the International Budget Partnership in October 2010 as Senior Research Fellow and is based in Rio de Janeiro, Brazil. He is responsible for developing and promoting a research agenda on budget transparency and accountability and supporting the Open Budget Survey. Prior to joining the IBP, he worked as a Research Fellow in the Centre for Aid and Public Expenditure at the Overseas Development Institute; as an economist and policy advisor in Papua New Guinea’s Ministry of Finance; and as a UNDP public sector specialist, lecturer, and independent consultant in Mozambique. De Renzio has been a consultant for the World Bank, the Organization for Economic Cooperation and Development, the European Commission, and for bilateral donor agencies, and international nongovernmental organizations. His research includes topics such as aid architecture and mutual accountability, donor conditionalities and general budget support, and quality assessments and reform of budget systems. De Renzio recently completed his PhD at the University of Oxford, focusing on the impact of donor policies and aid modalities on budget systems in developing countries. He also holds an MSc in Development Studies from the London School of Economics and a Bachelor’s degree in Economics from ‘Bocconi’ in Milan, Italy. 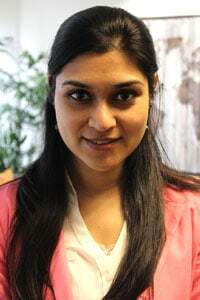 Priyanka joined the International Budget Partnership in March 2019 as the SPARK Program Officer for India. Priyanka’s work experience has focused on strengthening governance ecosystems at various levels, and includes working with communities, particularly marginalized women, building local capacities, carrying out policy research, and forging strategic partnerships with key stakeholders across the spectrum. 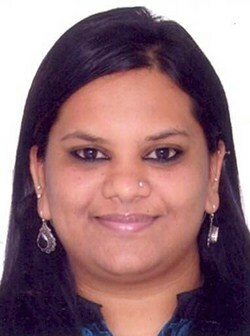 Prior to joining IBP, Priyanka worked with the Centre for Budget and Governance Accountability (CBGA) in New Delhi. Her experience at CBGA includes working as the Coordinator of the People’s Budget Initiative (PBI), a coalition of over 300 civil society organizations engaged in governance and budget related work in India; CBGA serves as its Secretariat. Through PBI, Priyanka worked closely with rights-based campaigns/grassroots movements as well as technical groups. She was also part of the advocacy and communications team at CBGA. Priyanka was also with the National Alliance of Women (NAWO) and worked with several grassroots level women’s rights organizations with a focus on marginalized women’s groups and networks. Priyanka holds a Master’s degree in International Relations from Madras University, India. She is deeply passionate about social justice and human rights with a strong focus on gender. Rose Nierras joined the International Budget Partnership (IBP) in May 2010 as its Director of Operations. In this capacity, she was responsible for strengthening organizational support systems, including the monitoring and evaluation of its work with partners all over the world. In early 2015, Nierras became IBP’s Director of Country Strategies and manages the organization’s country-level engagements with civil society partners and its efforts to strengthen the budget accountability ecosystems in those countries. Nierras brings to IBP extensive experience in developing and strengthening organizational systems and supporting and building civil society organizations after managing different multiyear, multicountry programs on participatory governance. Nierras led Plan International’s youth and governance program out of Plan U.K. and coordinated LogoLink, a global learning network of civil society organizations (CSOs) for participatory local governance. LogoLink originated at the Institute of Development Studies at the University of Sussex and later moved to the Instituto POLIS in Brazil. Nierras has extensive experience working with both civil society and local governments in Africa, South and Southeast Asia, and Latin America. She holds an MA in Development Studies from the University of East Anglia in the U.K. and has extensive experience facilitating organizational development processes for CSOs, international organizations, and donors. 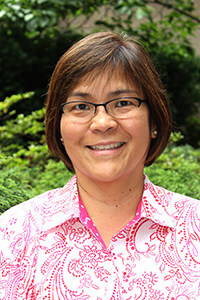 Sally Torbert joined the International Budget Partnership in August 2017 and is based in Washington, D.C. As the Open Budget Initiative Program Officer for Asia, she coordinates and monitors the implementation of the Open Budget Survey, provides technical assistance to civil society partners and governments to promote transparency reforms, and conducts research on budget transparency. Prior to joining IBP, Sally worked as a public sector and governance specialist with expertise in public financial management, service delivery, social accountability, and capacity building. She has previously held positions with the World Bank, DAI, UNCDF, and UNDP, supporting public finance and governance reforms in Afghanistan, Lao PDR, Nepal, Mozambique, and Timor-Leste. She holds a BA from Princeton University and a Masters from the Fletcher School of Law and Diplomacy. Suad joined the International Budget Partnership in May of 2016 and is based in Washington D.C. As a Program Associate with the Open Budget Initiative, Suad is responsible for data collection and review of the Open Budget Survey, and coordinating and providing technical assistance to civil society partners and government through out the survey process. She also assists with other research projects related to budgets and budget transparency. Prior to joining IBP, Suad worked as a journalist with a news organization in New Delhi assisting with the coverage of political stories. She holds a Bachelor’s degree in Economics and a Masters in International Relations from American University’s School of International Service. Suvarna Hulawale has more than ten years of experience in international development, ranging from grassroots to policy level, focusing on both need-based and human-rights-based approaches in a variety of sectors including health, education, governance, women’s rights, land rights, livelihood, and gender-based violence. Suvarna’s areas of expertise include monitoring and evaluation, strategic planning, program development, and capacity building. She has a post-graduate degree in social work and has previously worked as mentor with Action Aid International in Zamibia and Sierra Leone, VSO in Ethiopia, and as a consultant with The World Bank and UNICEF. Suvarna joined IBP in November 2015 as a consultant and became a full staff member in July 2015. She is currently based in Washington, DC. Sylvester V. McIntosh, II joined the International Budget Partnership’s finance team in August 2014. In his position he is responsible for regularly reporting on accounting processes, including all types of reconciliations, financial statements, funder reports, as well as reviewing and verifying all financial transactions for final approval. Prior to joining IBP, Sylvester was a senior auditor at a CPA firm in Washington, D.C. and a CPA firm in Boston, MA. Sylvester also comes from an athletic background, having played professional basketball in Europe for several years. He is currently preparing to pass the CPA exam and plans to pursue an MBA with a focus in finance. Tom Zanol has primary responsibility for coordinating IBP’s compliance with the contractual terms of donor grants received, and for managing the administrative processes for IBP’s grant-making to international partners, as well as for IBP’s contracting with external consultants and researchers. He joined IBP in 2004, first as Program Coordinator for the Civil Society Budget Initiative (CSBI), and subsequently for the Partnership Initiative (PI); two successive IBP initiatives that provided financial and technical assistance to build the capacity of civil society organizations to engage in applied budget work in low-income countries around the world. Previously, he spent several years in the Legislative Affairs Department of the Center on Budget and Policy Priorities (CBPP), supporting policy and advocacy initiatives to benefit low-income populations in the United States. Tonika R. Jackson joined the International Budget Partnership in January 2018. She has been a Payroll/Accounts Payable accountant for over 17 years and is passionate about her work. Tonika is happily married with two children and loves traveling with her family. 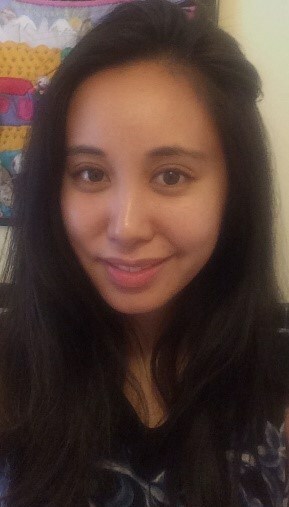 Trisha Viecco Carrillo joined IBP in August 2011. As Events Coordinator for IBP she plans and executes local and international events ranging in size from small round-table discussions to large-scale, multi-day conferences. Trisha has worked in the events field since starting her career in 2004. Before joining IBP she held positions at the Institute of International Finance, the U.S. Green Building Council, and the IMF. Trisha holds an BA in International Affairs from George Washington University and an MTA in Event Management from George Washington University. Virginia Stettinius McMullan joined IBP as its Director of Operations in September 2015. Based in the Washington, DC office, Virginia is responsible for the wide array of functions related to the organization’s infrastructure and operations as well as ensuring effective management and operations throughout the organization. Functions include human resources, finance, information technology, administration, facilities, grants and contracts, and institutional compliance. Key responsibilities include organizational planning and management, internal communications, and efficient operational delivery for the organization’s mission. Virginia has worked with a passion for operations in the international development NGO sector her entire career. Prior to joining IBP, she held positions at Rainforest Alliance, PACT, World Wildlife Fund, Operations Crossroads Africa, and Search for Common Ground. She holds a B.A. in Sociology from Colby College and an Executive MBA from Georgetown University. Vivek Ramkumar joined the International Budget Partnership (IBP) in 2005 and currently is Senior Director of Policy. In this capacity, he oversees IBP’s research and advocacy efforts to expand the adoption of transparent and accountable budget systems around the world. As Senior Director, Vivek stands-in for the Executive Director, as requested. Vivek is an Indian national and previously worked with the MKSS – an organization that pioneered the Right to Information movement in India. He also worked with a Mumbai-based nongovernmental organization called SPARC, which is part of the Shack/Slum Dwellers International. Vivek is a qualified Chartered Accountant and holds an MA from the London School of Economics. He is a member of the Consultative Advisory Group of the International Public Sector Accounting Standards Board. Vivian joined the International Budget Partnership in March 2016 and is based in Nairobi, Kenya. As IBP Kenya’s Project Coordinator, she supports operational and administrative services. Prior to joining IBP, she interned for the legal directorate at the Commission on Revenue Allocation. Vivian holds an LL.B from the University of Nairobi, and also studied Economics at the University of Gothenburg. 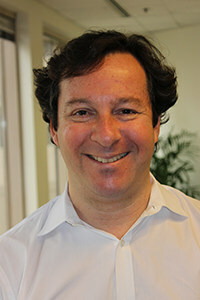 Warren Krafchik is the Executive Director of the International Budget Partnership (IBP), where for 13 years he has led IBP’s work to support and collaborate with civil society organizations in Africa, Latin America, and Asia to ensure governments are held accountable as stewards of public resources. IBP works with independent organizations in over 100 countries by providing financial assistance, training, and technical support and designing collaborative research and networking programs. In addition to directing IBP, Krafchik is also a founder and steering committee member of the Global Initiative for Fiscal Transparency, and he was a founding Co-Chair of the Open Government Partnership. 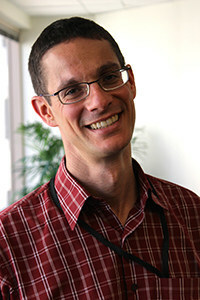 Krafchik joined the IBP in 2001 after nine years at the Institute for Democracy in South Africa (Idasa), where he founded the Budget Information Service (BIS). Idasa’s BIS was one of the first organizations in developing countries to pioneer a role for civil society organizations in budget processes, and its work and methods have been adapted by civil society and governments around the world. Krafchik started his working life as a lecturer in macroeconomics at the University of Cape Town, where he received an MA, awarded with distinction. He is the author of numerous publications and a frequent speaker on the role of the civil society, legislatures, and supreme audit institutions in budget accountability.